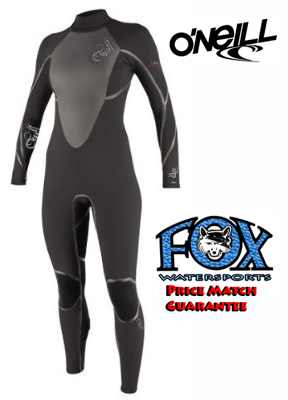 The Oneill Womens D-Lux 4/3 is our most popular selling womens 4/3 wetsuit. Oneill combines their Fluid Seam Weld construction 100% Ultra Stretch neoprene and a code red zipper that makes it easy to get on and off but doean't allow any water in. All this combined with an affordable price make this a top seller for women.